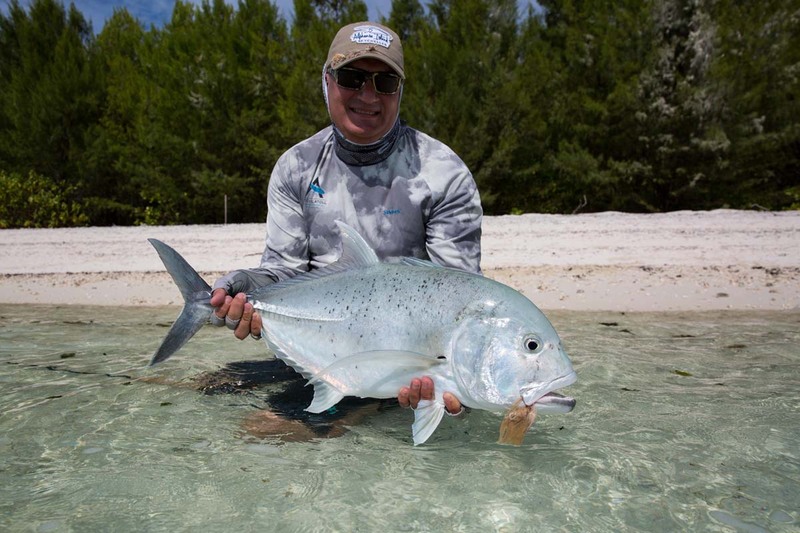 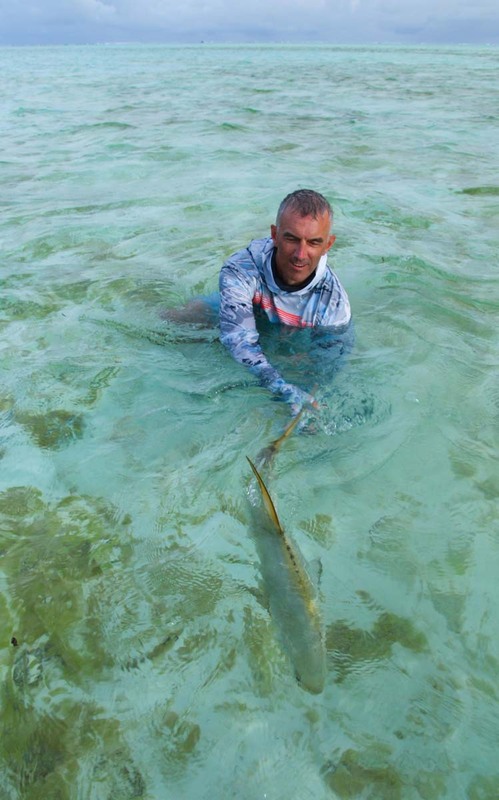 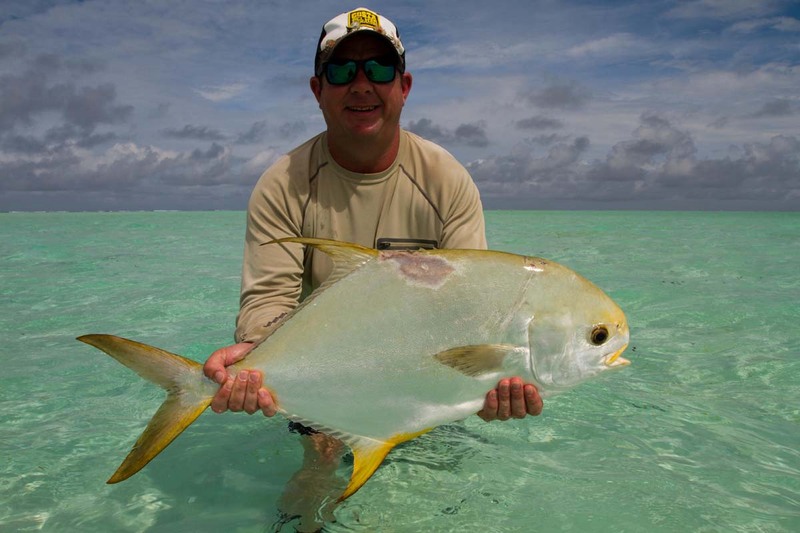 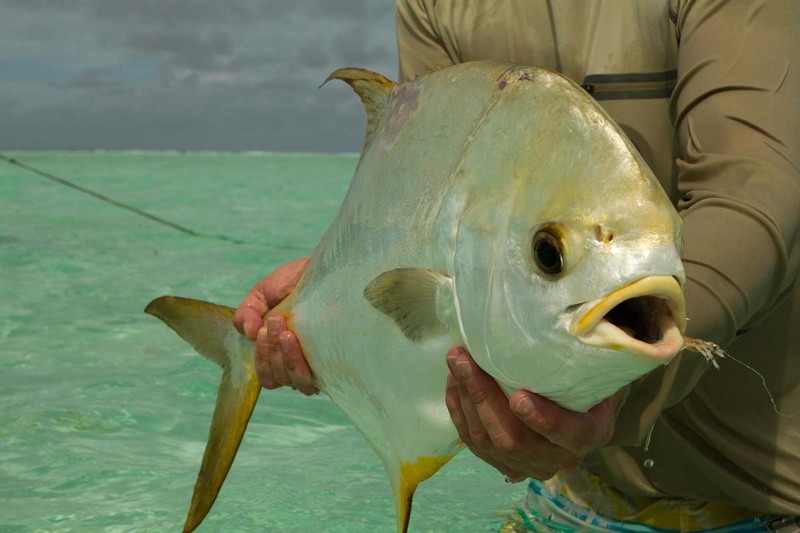 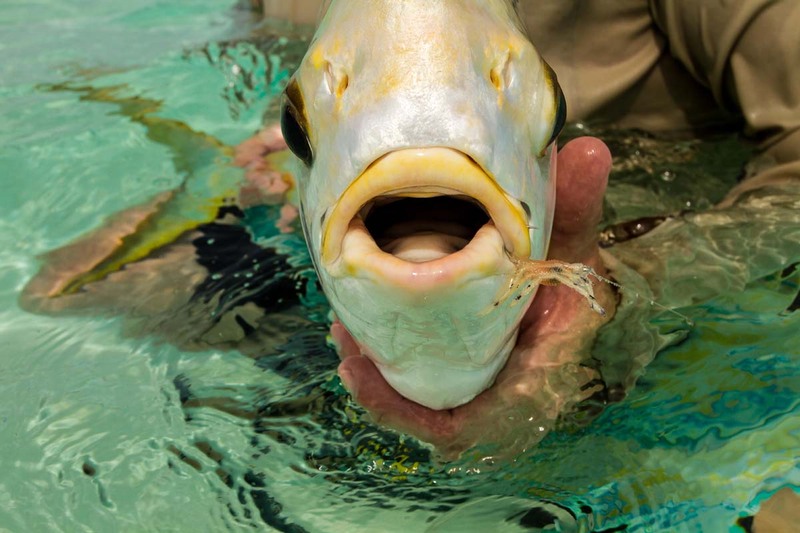 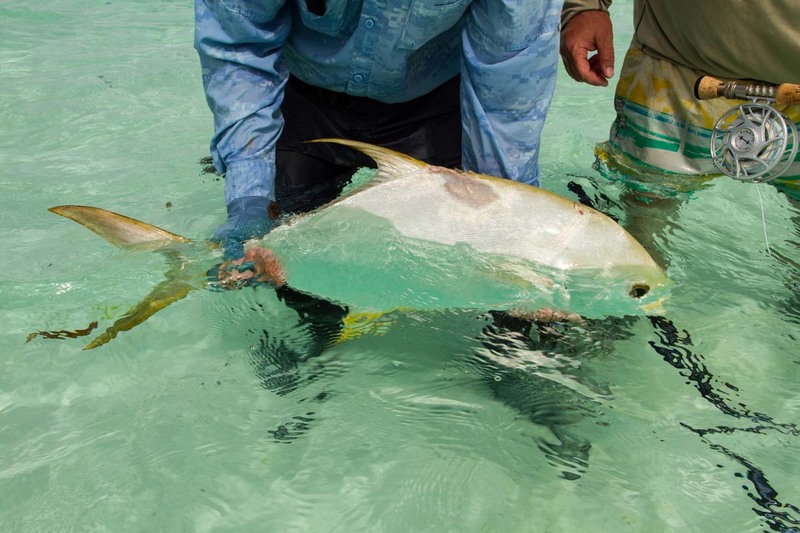 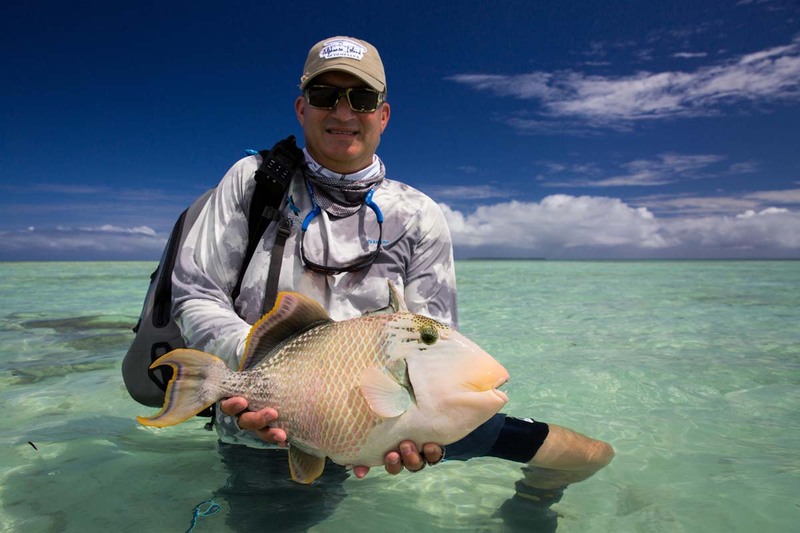 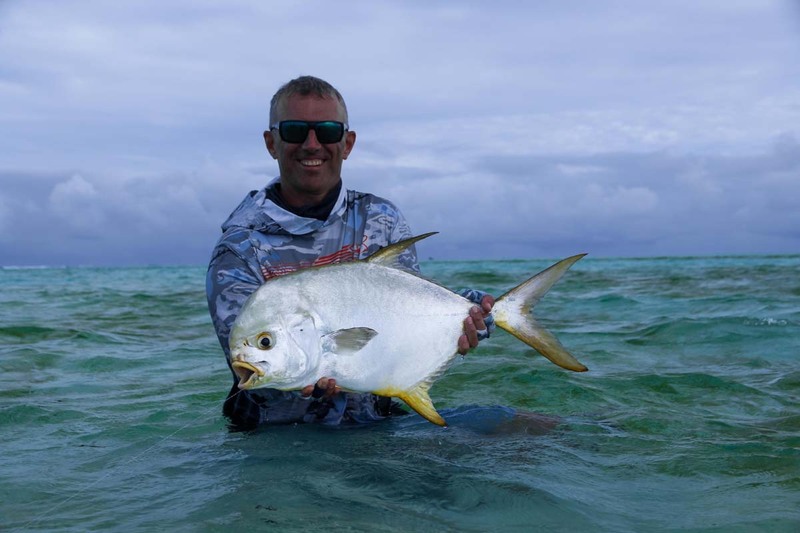 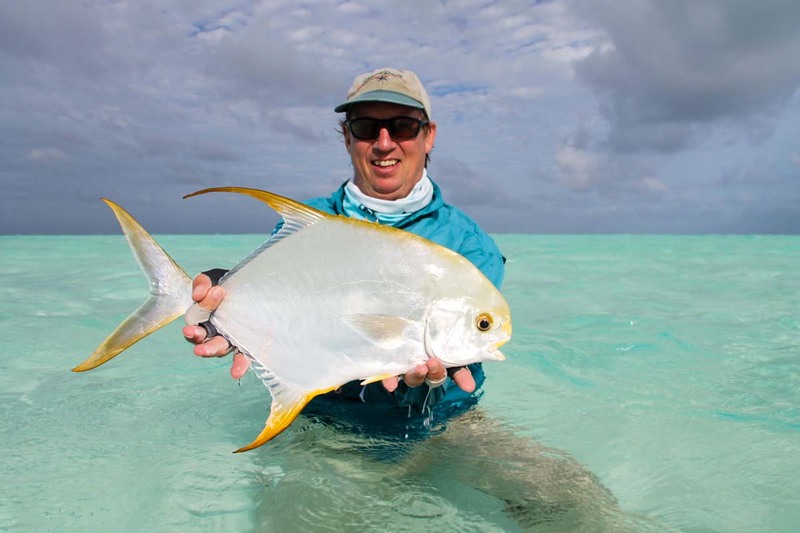 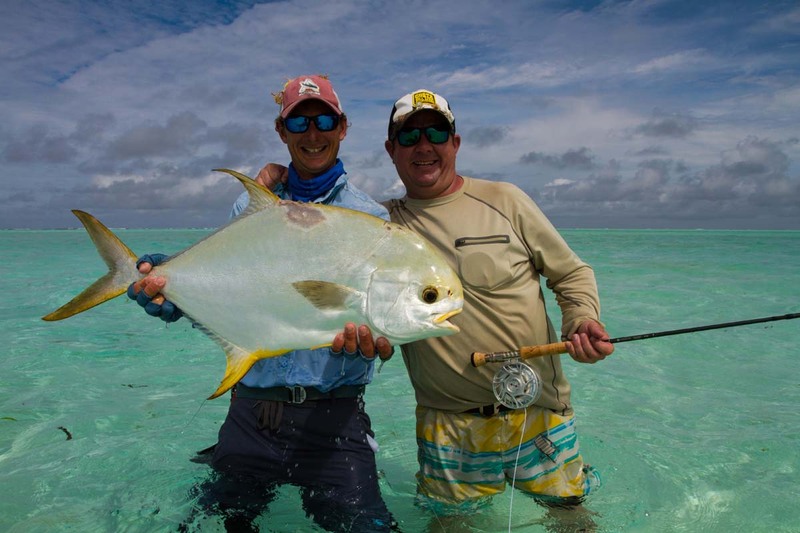 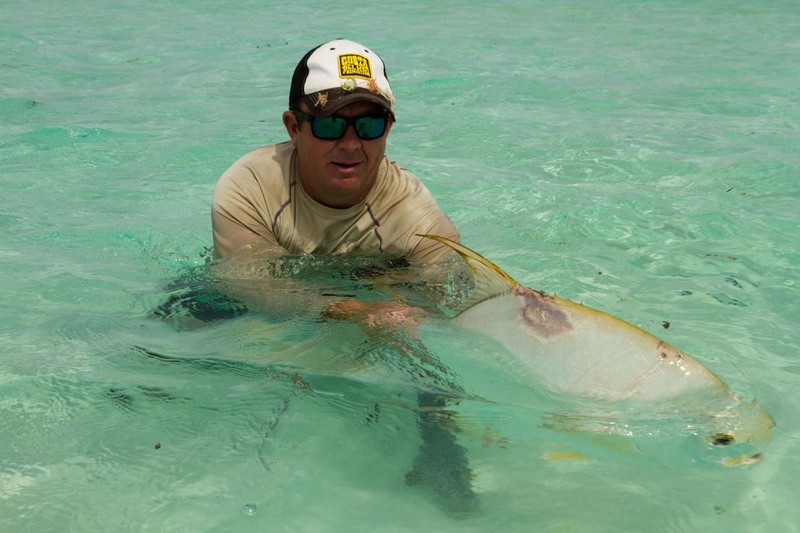 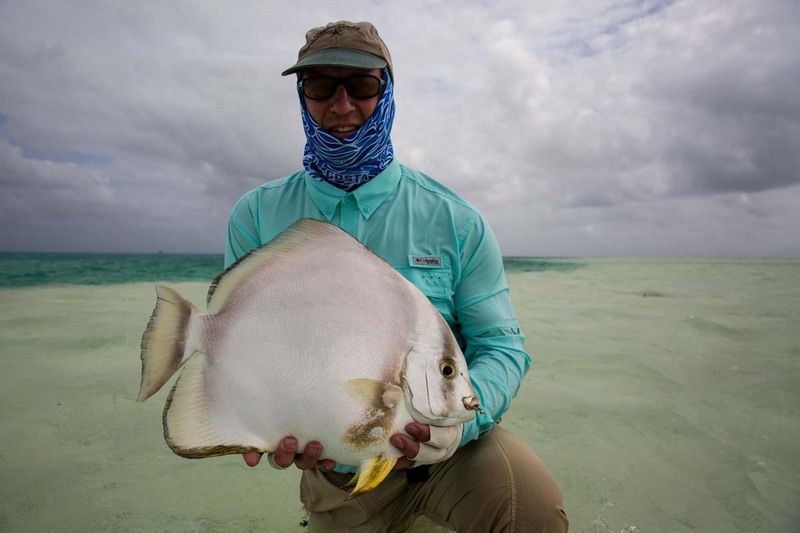 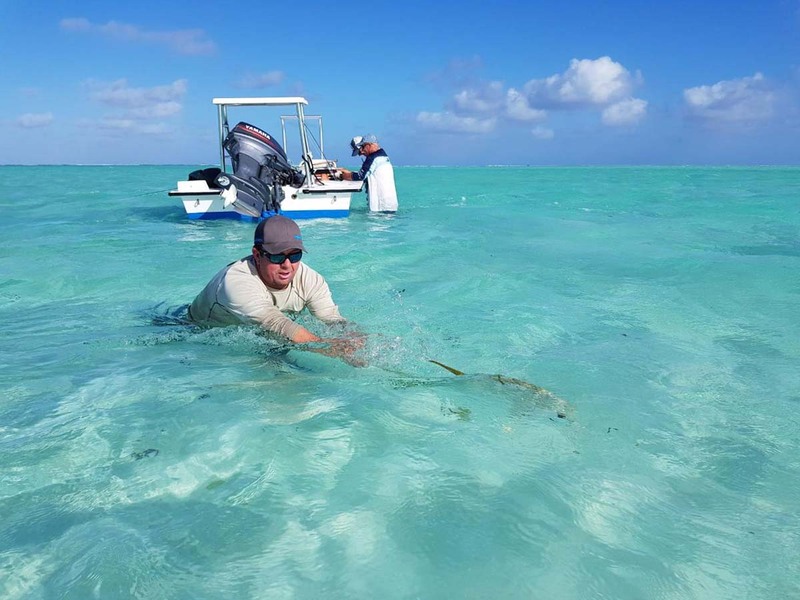 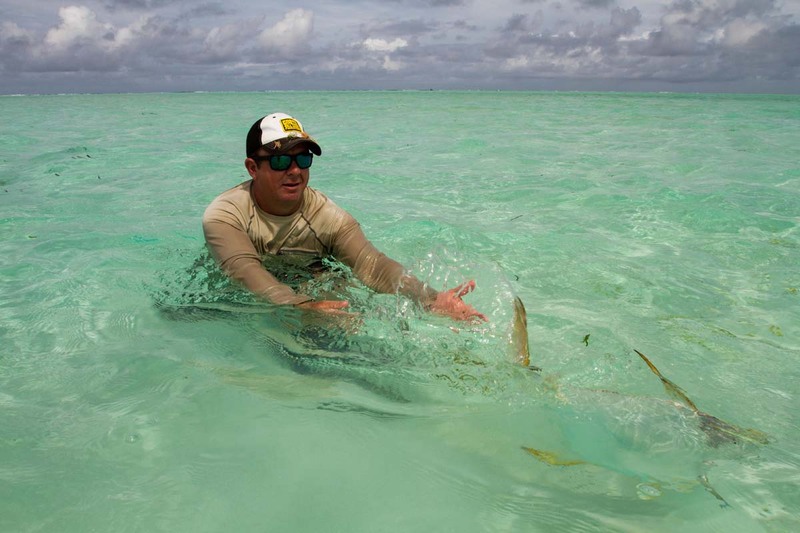 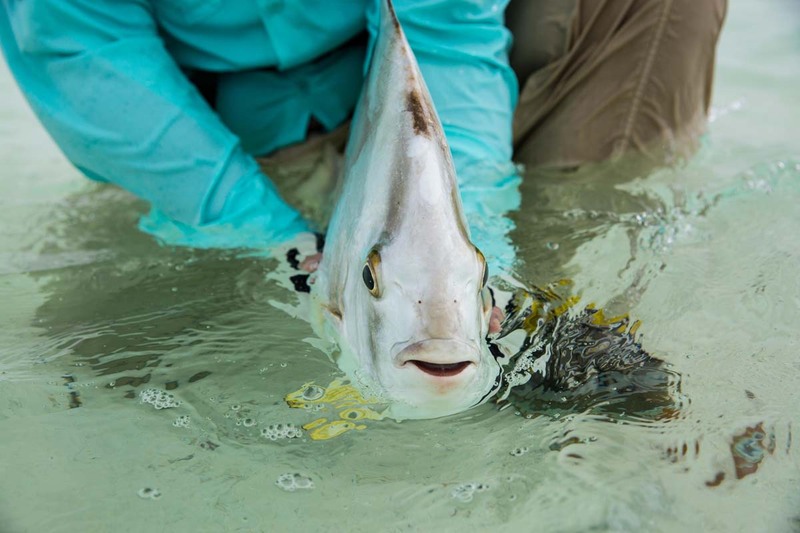 As the Alphonse Fishing Co. team settles back into trusty patterns of area management around tidal changes, the fish tally becomes more and more impressive, leading to predictions of another bumper season out on St. François atoll. 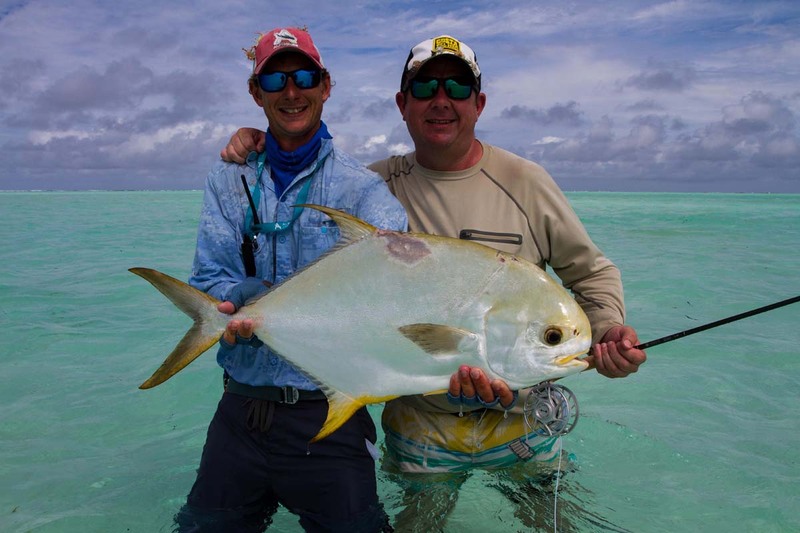 This week started with some less than favourable weather, however nothing could deter our eager group of anglers achieving phenomenal catches throughout. 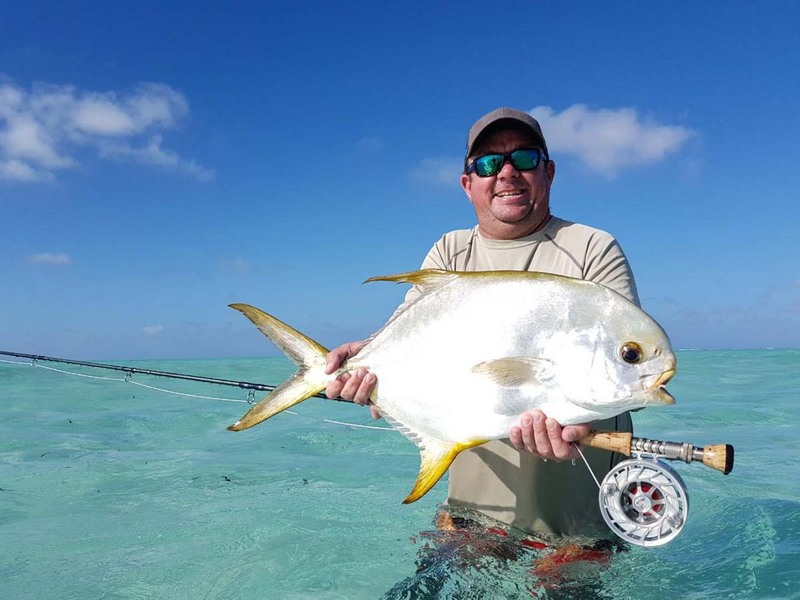 Ty P, a seasoned angler in the Seychelles really stood out during the week landing two Indo-Pacific Permit on one day followed by another on the last day of the week. 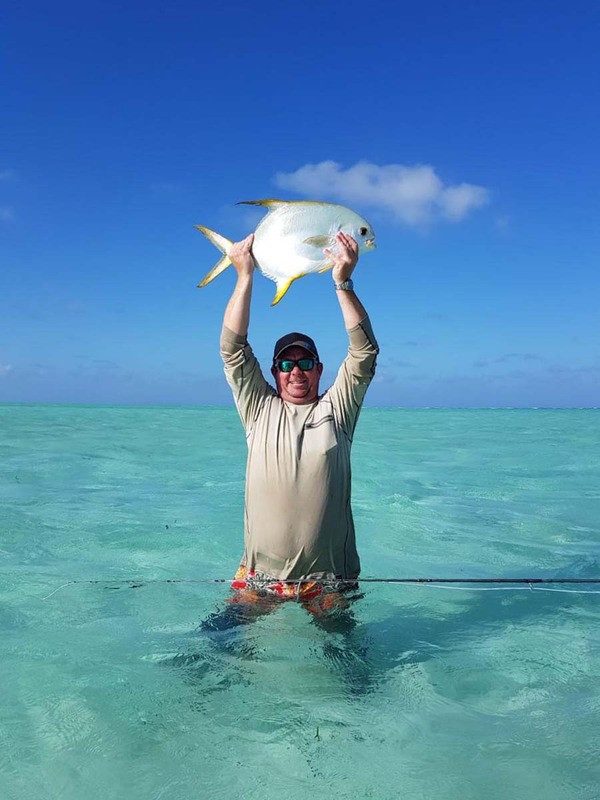 On the same day he also landed a Moustache Triggerfish, two sailfish as well as a Bonefish to complete his ‘Bills and Bones Slam’. 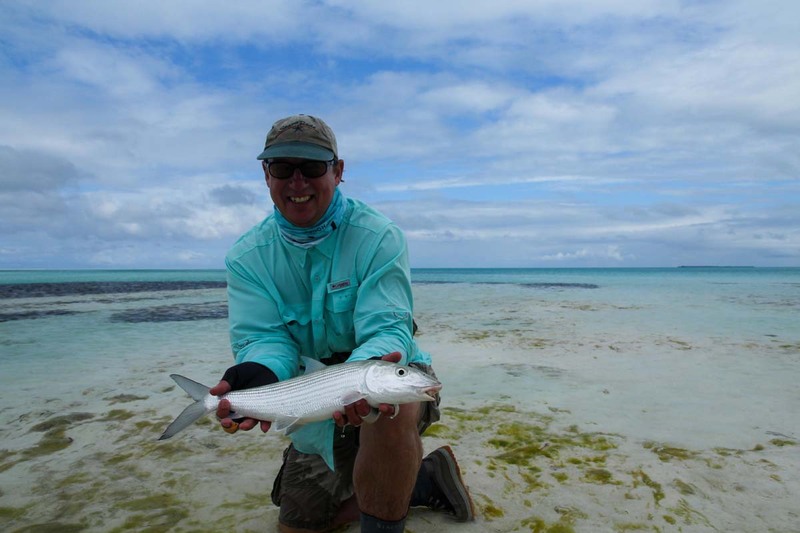 Meanwhile, his boat partner Ian H finished off a ‘Bills and Bones Slam’ the same day in fine fashion by catching a good Bonefish in the surf. 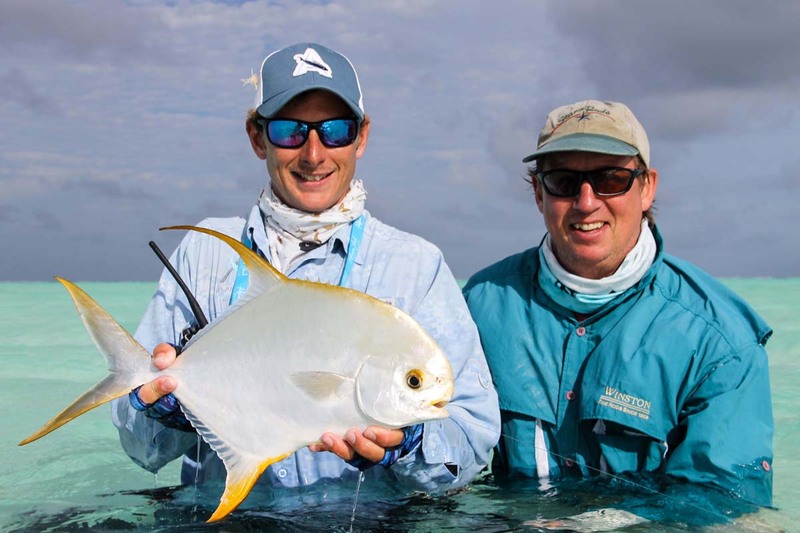 Ty was not the only angler to land two Permit in a day as Andrew B stepped up and landed two magnificent golden trophies the very next day. 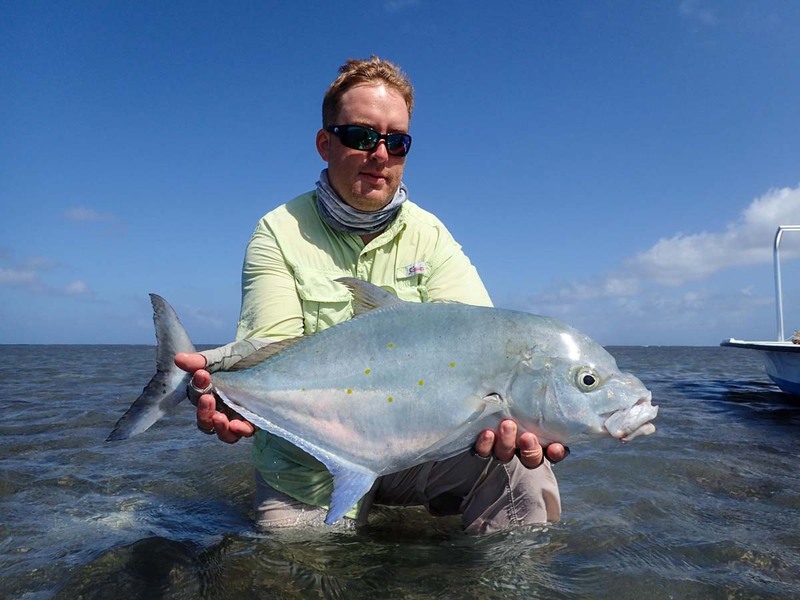 While Permit seemed to be daily catches in the lagoon, Triggerfish were chewing up numerous flies out in the surf zone. 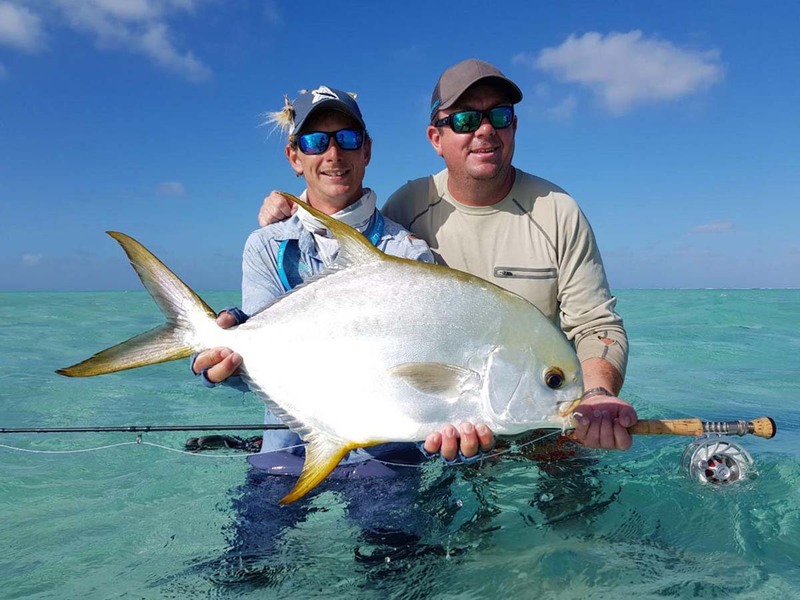 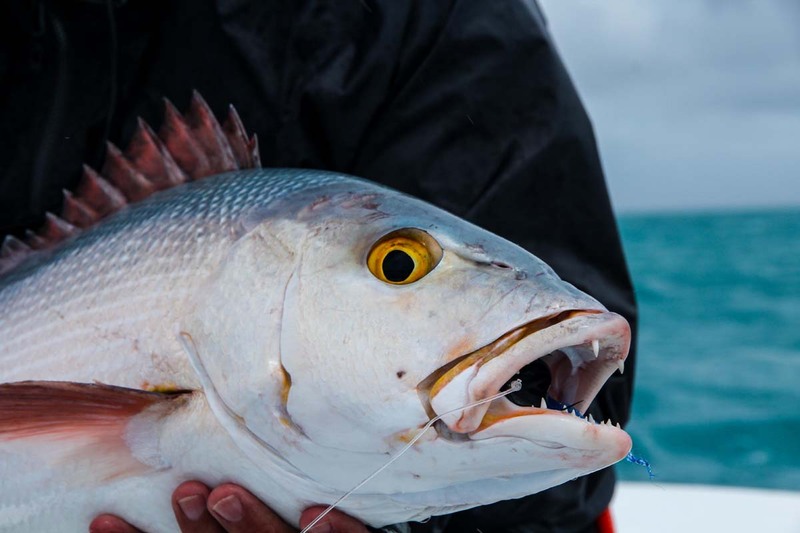 A total of eight of these feisty creatures were landed with Leigh M and Daniel P landing two colourful Moustache Triggerfish each on the same day. 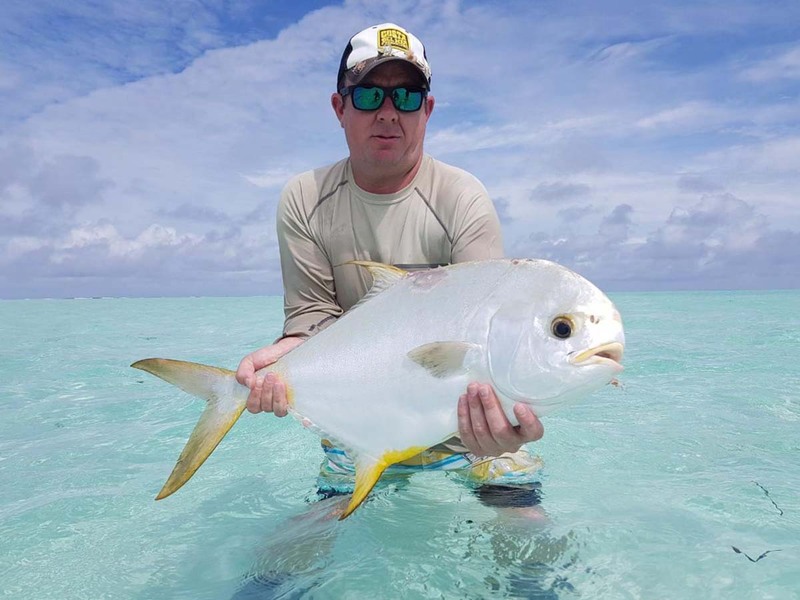 GT’s seemed to be making regular appearances throughout the week for some anglers, and while many where lost due to various reasons, Michael W-B managed to land three, giving him top honours as GT champ for the week. 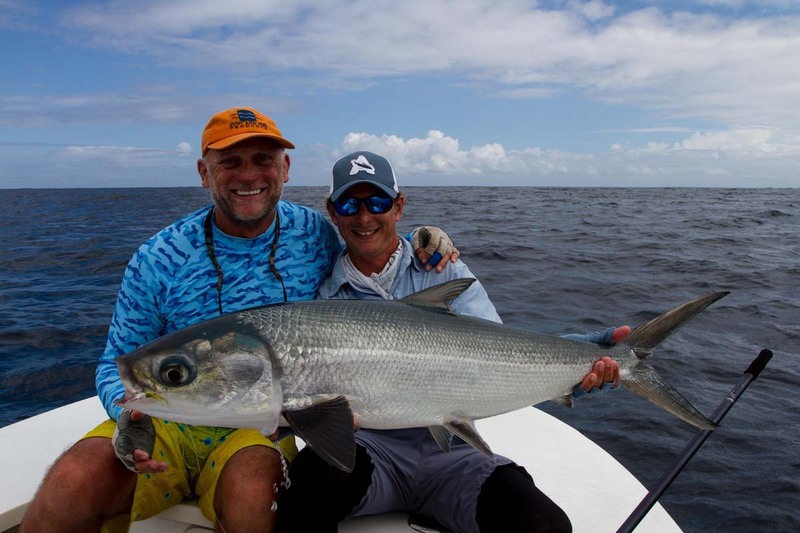 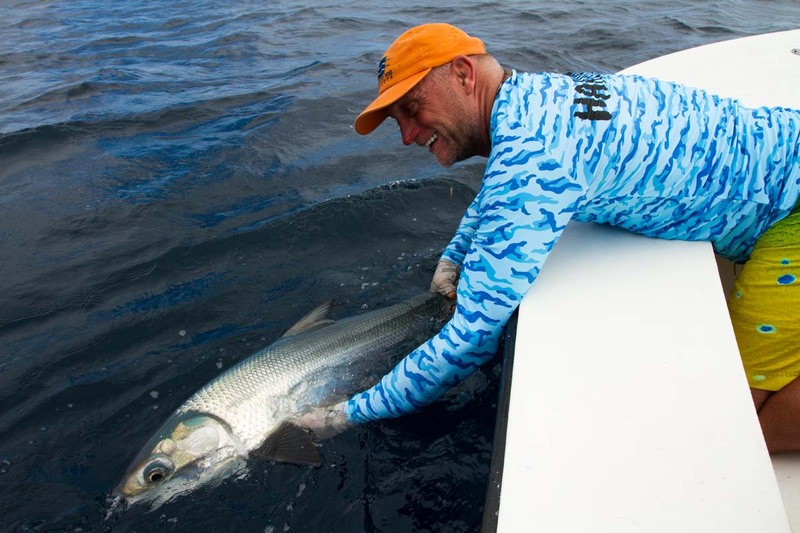 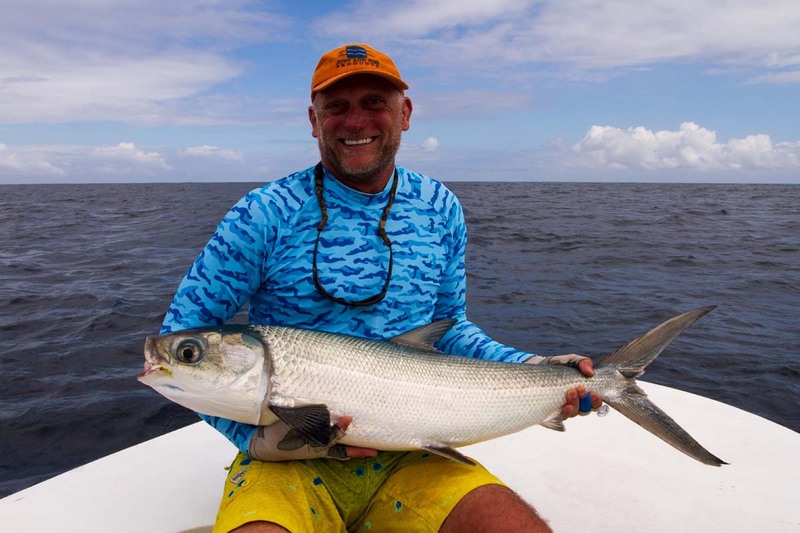 This being said, Michael H landed the only Milkfish for the week, getting a good understanding of how powerful this ocean-going species can really be. 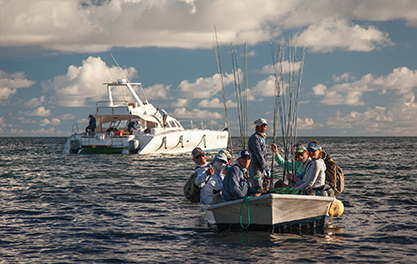 The cherry on top was the impressive 285 Bonefish being landed by just nine anglers during the week. 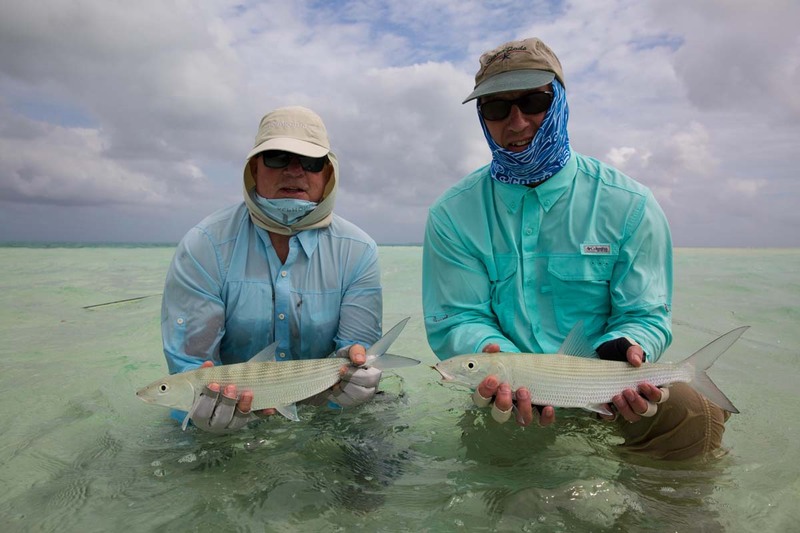 Having the opportunity just to see the clouds of Bonefish passing over the white sandy flats is mind-blowing, but being dragged into your backing time after time by these powerful ghosts of the flats will bring a smile to any angler’s face.